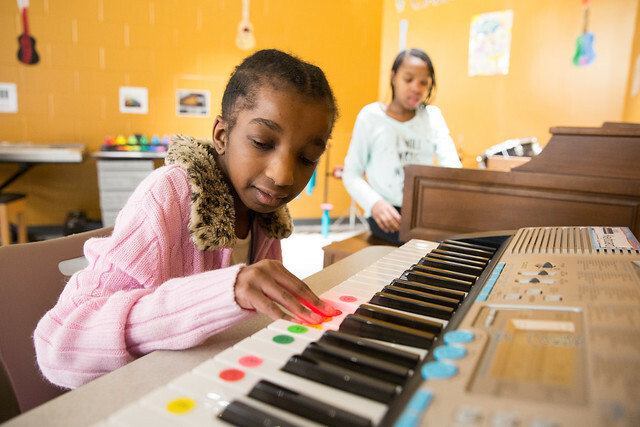 For the better part of a century, Des Moines Public Schools has worked continually to improve and evolve educational services for students with disabilities. Today, as a result of improved programs, more and more students are able to attend their neighborhood school rather than need a special school. Those changes, along with the commitment of DMPS to providing the best continuum of services to students, is leading to another change: the merger of Smouse Opportunity School with Ruby Van Meter School, a building that has recently undergone a $7.6 million renovation and is designed to meet the needs of students with disabilities of all ages. The letter below from Superintendent Ahart to Smouse and Ruby Van Meter parents provides additional information about this change. I am writing to share news that may be a surprise and even bring a little sadness to some but, in the long run, is very much in the benefit of educating our students with disabilities. Des Moines Public Schools has long been a leader in serving students with physical, intellectual, learning and behavioral disabilities. In many ways, DMPS has been a destination for families in central Iowa because of those services. That has been the case since Smouse Opportunity School opened in 1931, and Ruby Van Meter School opened its doors 40 years later. At one point in time, DMPS educated as many as 110 students at Smouse and more than 230 students at Ruby Van Meter. Today, fewer than 200 students in total attend the two schools. There are very good reasons for that decline, in particular the fact that we have improved our services so that fewer students require a special school placement and more may attend their neighborhood school. We are as committed as ever to providing the best possible continuum of service to students, in ways that are both effective and efficient. It is for that reason we are merging Smouse with Ruby Van Meter. This change would go into effect with the 2018-19 school year. What will this mean for our three programs currently housed at Smouse? For preschool, the three early childhood special education classrooms will be relocated among the district’s early childhood centers. Students and staff in the Directions program, serving intellectual disabilities, will be relocated to Ruby Van Meter. For the Strive program, serving behavior disabilities, staff will be in contact with families soon to determine if students would return to their home school, with additional supports and services, or would be served in a special program. In fact, we want you to come take a first hand look at Ruby Van Meter. We will be holding tours and open houses for families later in February. Look for a note from your school soon with the dates and times. Unfortunately, the age of Smouse means that many of the renovations made to Ruby Van Meter would have been extremely difficult and costly. However, Smouse is a beautiful and beloved building that will continue to play a valuable role in the school district, including for students with disabilities. Smouse will be used, in part, as a professional learning center for our staff that works throughout the school district with students with disabilities. This will provide a training site for teachers to learn new strategies and best practices in order to do an even better job with students. In addition, one wing at Smouse will continue to be used as classrooms for students. Finally, the district’s Center for New Americans – which helps immigrant and refugee families from around the world become a part of the DMPS community – will be located on one floor of Smouse. Some people may view this change with sadness. We all have fond memories of the services, programs and events at Smouse. But it’s also a time to look forward. I view this as an evolution of a system that honors serving students with disabilities in the least restrictive environment. Prior to the mid-1970s, it was a great step forward to serve students with disabilities in schools at all, and since that time we have continued to make gains on the goal that all students are served in the least restrictive environment. The continuum of services will, of course, be offered in the district but as we’re improving our practice we see that there are simply fewer students requiring a special school. When Dr. Smouse donated the school building that bears his name, it was in the spirit that this school district would continue to move forward with an integrated approach to serving students with disabilities. That spirit has not changed. In fact, it is as strong as ever. Thank you for your support of both Smouse and Ruby Van Meter schools, and for entrusting your child’s education to Des Moines Public Schools.